ATLANTA (August 9, 2018) — B2B marketing agency Marsden Marketing, scoops up an outstanding five platinum and gold awards in the 2018 International dotCOMM Awards Competition, ranking among industry leaders like Content Marketing Institute, Saatchi & Saatchi, Hilton Hotels, and Microsoft. The awards, which recognize the creativity and discipline required to elevate B2B out of B2Boring, highlight the importance of crafting engaging demand generation programs that drive revenue and growth across multiple touch points. “It’s a noisy digital landscape, and B2B companies are challenged to stand out and engage their prospects and clients. Our work is getting the attention of U.S. and international B2B companies because we understand how to develop programs that combine the messages and the channels to connect and drive revenue,” said Anne Marsden, Principal and Founder of Marsden Marketing. Over 2,000 submissions from around the world were made for the 2018 International dotCOMM Awards. Marsden Marketing was part of an elite group of entrants to win a platinum award, the program’s highest honor. Marsden also went on to win an additional four gold awards across a number of creative, web, and demand generation categories. “We’re delighted to be recognized by the Association of Marketing and Communication Professionals (AMCP) and so proud of the work our teams consistently deliver for our clients,” Marsden continued. Symmetrics Group, a B2B sales performance and consulting firm, needed a compelling digital presence that both elevated their brand to their target audience and created a demand generation engine. Through a series of structured activities including messaging workshops, market and client research, SEO analysis, content audit, and design, Marsden Marketing delivered a website that attracts and converts prospects while establishing a thought leadership platform for ongoing engagement. Southwire, North America’s largest provider of wire and cable, turned to Marsden Marketing for a digital ad campaign to accelerate their lead generation goals. Banner ads and landing pages targeting specific buyer personas, placed in highly targeted media outlets, outperformed the company’s lead goals. Vanco, a payment processing company focused on the unique needs of the faith-based community, wanted to establish a non-commercial community platform to speak to the challenges and opportunities common to all in stewardship. Marsden Marketing created and manages Voices on Stewardship, which has surpassed the membership goals originally set for the program. Toffler Associates, a future-focused strategic advisory firm, turned to their marketing partner, Marsden Marketing, to create a promotion program for a recent report they authored. An interactive infographic was designed as the backbone of an integrated lead generation campaign which set a record in leads and revenues from a single marketing campaign. “Our clients’ success is attributed to our team’s deep understanding of B2B marketing fundamentals and using that knowledge to bring to life digital campaigns that accelerate growth for our clients,” Marsden concluded. B2B companies seek out Marsden Marketing’s result-focused expertise as a full-service digital marketing agency that integrates digital marketing, branding, and PR to accelerate clients’ positioning, propel their lead generation programs, and most importantly, grow revenues. Based in Atlanta, Marsden Marketing’s clients are spread across the U.S. and Europe. 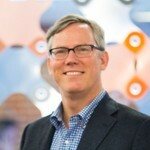 As Hubspot’s first Platinum Partner in Georgia and holding certifications from many other technology providers including Pardot, Google, and Demandbase, Marsden Marketing continues to be recognized for its B2B marketing expertise. For more information, contact us at 678.369.0019 or visit https://www.marsdenmarketing.com.